The front door leads you into a charming and cosy lounge , with 1 x small 3 seater sofa and a large armchair, a bistro café table and 2 chairs, Smart TV and DVD player. 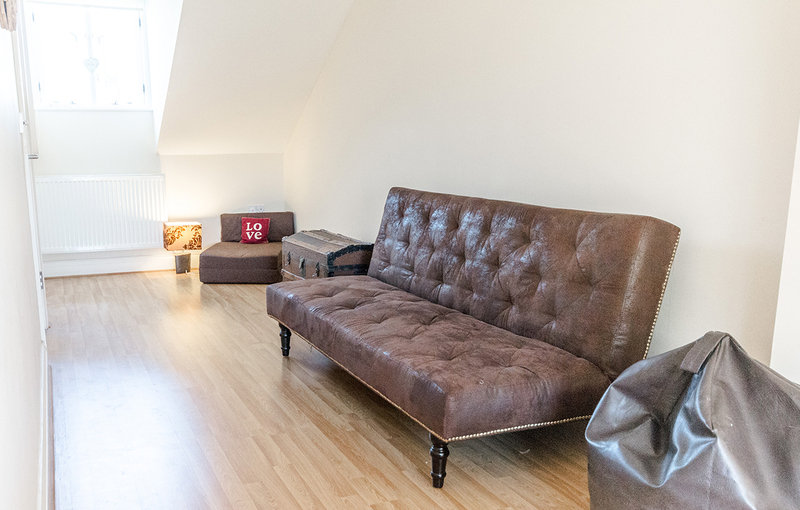 There are spare bean bags in the loft room to bring down for extra seating as well as tons of dvds and board games for rainy days and chilled out evenings. Wifi is throughout the property. 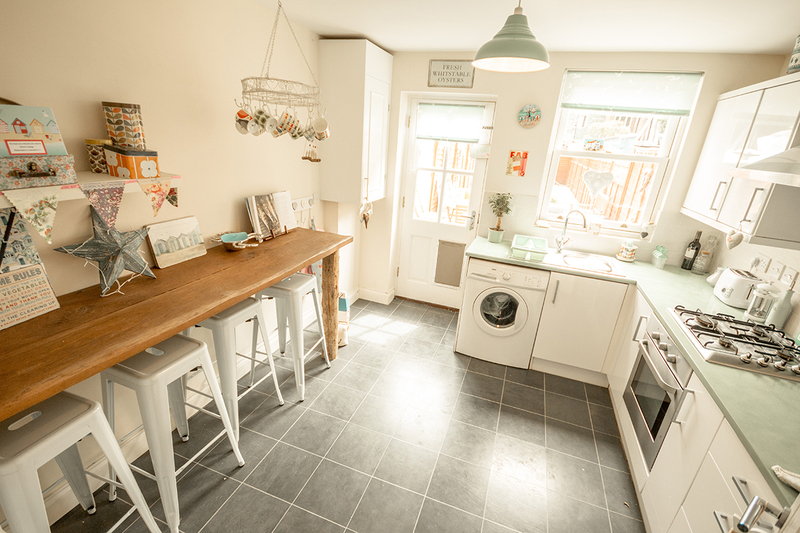 The quirky kitchen is fully equipped with washing machine, fridge/freezer, oven hob and microwave. The bespoke, rustic breakfast bar seats 4 people comfortably with funky, metal bistro (utility) stools. The kitchen is well equipped so you can enjoy entertaining as well as al fresco dining and has all you need for fun-filled picnics on the beach from a cool box to picnic baskets and blankets. The back door leads to a lovely, traditional, coastal cottage south facing garden with patio furniture and x 2 BBQs. For your comfort, there is also a wooden bench with padded seating and 4 stripey deck chairs. The garden is made up of decking, shingle and artificial grass. The back door also has a handy, lockable dog flap if your pooch wants to enjoy time in and out of the cottage and garden if you are all chilling out indoors. Stylish double bedroom with a standard double bed, 2 x bedside cabinets, a large wardrobe with ample storage and a large, ornate full length mirror. 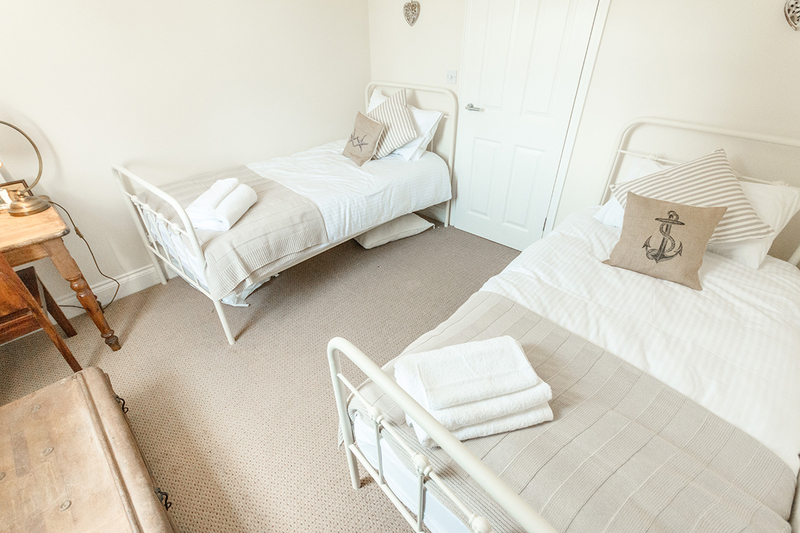 Twin bedroom with 2 single beds and an original naval metal trunk for storage. 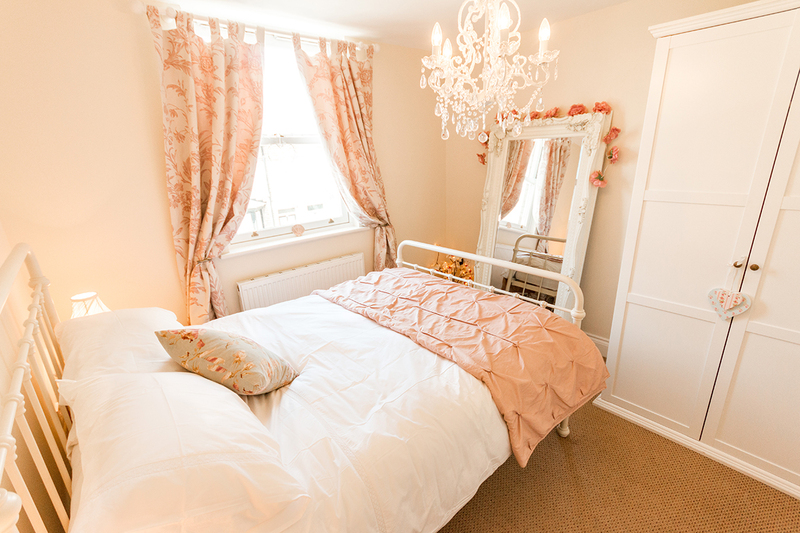 To enhance your stay there is an antique desk/dressing table and chair with a mirror and a small, vintage wardrobe, perfect for hair and make up as well as for business users wanting lap top and work space. A staircase with an original, vintage rowing oar as a handrail taking you to a spacious and large attic bedroom with a double bed, a large, comfortable sofa bed and x 2 small, single sofa chair beds for the little ones (these are portable and can be moved to other rooms if needed) There is a TV with a built- in DVD player as well as a PS3 playstation and X BOX 360 with a variety of different games and DVDs for the youngsters. This is a beautiful, light and spacious room with plenty to do that kids love and keeps them merrily occupied which makes for happy parents! !